Buying a gas station can be a great business opportunity, but knowing what to look out for and the right questions to ask can be the difference between a long, successful business and a short-sighted misstep. 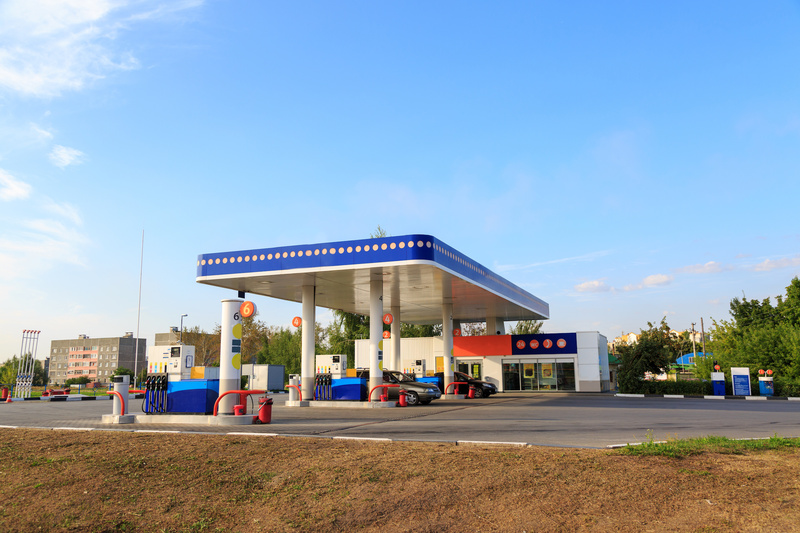 Here are some important questions and factors to consider before buying a gas station. Why Buy a Gas Station? With so many different businesses to invest in, why buy a gas station? There’s a reason that gas stations are and have been one of the most popular categories for investment. Not only are they lucrative, but they provide owners with a stable and relatively easy to business to operate. Here are a few reasons why you should consider investing in a gas station today. Between 2009 and 2018, gasoline sales in the US nearly doubled, growing from 380 million to 620 million. The nature of the gas station business means your sales of gasoline will be fixed, regulated, and controlled by the market. This means fuel sales will take a back seat in your business strategy, giving you time and space to focus all your attention on your convenience store sales. For now and into the foreseeable future, gas remains to be a high-demand product that people need on a regular basis. Gas stations are flexible: you can open a supplementary car wash, repair shop, or convenience store to generate more sales. Unless you open a repair shop, gas stations don’t require the use of skilled workers. This means low labor costs with a simple learning curve for inexperienced workers, making it easy to train gas station attendants and train gas station managers. Your interest in a gas station has peaked, and you’re seriously considering drawing up some contracts to finalize a buy. Before that final step, however, all potential buyers need to put in the due diligence of research before completing their buy. So what questions do you need to ask? What do you need to know before taking the final plunge on a gas station? Gas Pumps and Fuel Tank Condition - Pumps and fuel tanks, like anything else, will get old over time. Before you finalize any price, be sure to get updated reports on the conditions of the pumps and tank. If the station is an established franchise, then representatives will monitor the pumps regularly, and records should be easy to get a hold of. Convenience Store Condition and Current Inventory - The convenience store is where you will make the bulk of your sales, so knowing its condition and how much potential remodelling it might need is one of the first things to look out for. Be sure to look for any snack machines that need to be replaced or repaired. What vendors will you have to reach out to in order to fulfill inventory that isn’t already in place? Reported Profits of Former Owner - Look at the monthly and yearly profit reports from the owner. How lucrative is the business? What are the trends in dips or gains by month? Do the numbers add up to what the cost of purchase is? Location Popularity and Current/Potential Demographics - How strong of a location is it? Are you by a highway? In a residential area? Are you near a school that could indicate high sales of snacks favored by kids? Are they any big construction sites in the area that could project a new demographic entering the area? Required Renovations of Property - Be sure to ask if there are any pending deadlines for required renovations. Are there any perennial water leaks that won’t go away? Is anything within the building’s infrastructure meeting a deadline for renovation? Status of Liquor/Tobacco Licence and Relevant Local Laws - Some cities, like San Francisco, have bans on flavored e-cigarettes, and other cities are following suit in their local statutes. Also, some residential areas prohibit the sales of alcohol either because they’re near a school, church, or some other factor. Be aware of your city’s guidelines for selling tobacco products and alcohol and what their parameters are. Knowing what pitfalls to avoid from the outset of your business venture will make the initial trial and error period that much less of an inconvenience. As with any business, there will be some roadblocks along the way, and following these tips will help avoid some of the biggest traps early buyers run into. Research and Then Research Some More - Especially when it comes to a million-dollar deal, there’s no such thing as too much research. Use all the resources at your disposal to solve problems, find answers, and learn from the mistakes of others. Trust Your Instincts but Decide Based on Numbers - If you’re instincts are telling you that something is off, they’re probably right. That doesn’t mean, however, that you make any rash or drastic decisions before proper scrutiny. Review the contract and the deal laid out. Are your worries warranted? In the end, return to the numbers. As long as the numbers add up, there’s no reason to lose confidence in a decision. Never Rush into a Deal - Finalizing a deal is exciting and, understandably so, probably leads to a lot of buyers rushing into agreements that needed more review. As anxious as you might be to start your business and implement your strategy, it’s important to stay calm, cool, and collected. Make sure you’ve done due diligence in reviewing every aspect of the gas station, contract, and potential contingencies before you make a buy. Plan for the Long Term but Ensure Your Short Term is Covered - A gas station is the kind of investment that could pay dividends in the long run. In order to get there, however, you need to make sure that there aren't any short-term obstacles too large for you to hurdle over. This comes down to looking at immediate liabilities that might come with any aspect of the gas station and making sure those liabilities won’t put you out of business before you reach the end point. Once you’ve gone through the appropriate steps and finalized your buy on a gas station, you’re going to need a reliable tracking and POS system. CStore Pro provides first-class inventory management software to track daily/monthly reports, monitor transactions, and provide data on sales for you to build your business strategy. Get a full picture on your entire business from one, easy-to-use platform in CStorePro. You can start your free trial of CstorePro here. For more useful tips on opening your own gas station, you can use our New Store Opening Checklist to help you out.